The recent financial crisis and near-collapse of Solid Energy – one of the five, state owned enterprises planned for partial-privatisation – should serve as a warning for those investor-vultures circling to buy shares in any of the SOEs. First, the decision by Air New Zealand to pay dividends and second, the decision to buy the second half of Ansett. 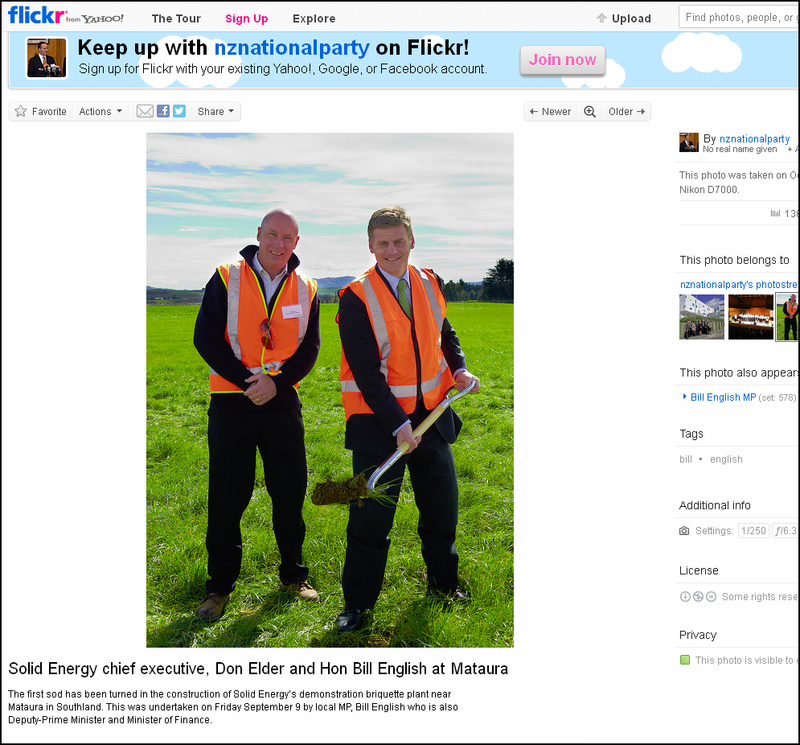 Both moves turned out to be considerably more beneficial to the interests of Brierleys than those of Air New Zealand. Take the Ansett purchase. In early 1999, Cushing announced that Air New Zealand was vetoing Singapore Airline’s bid to buy News Corp’s 50% of Ansett Holdings (Air New Zealand had held the other 50% of Ansett since September 1996). Instead, it decided to pay News Corp $A580 million and get 100% control. It’s most likely true that Air New Zealand paid too much for the stake and that directors had too little information about Ansett’s financial and engineering state. These are well-aired opinions, but are secondary to the main question that should be asked: Why did Air New Zealand buy the second half of Ansett at all? It’s not just that it was hopelessly out of its depth buying an airline twice its size. It’s just hard to see any benefits – to Air New Zealand, that is. The at times cash-strapped investment company held between 30% and 47% of shares over the period so, based on the total dividend of $765 million, Brierley reaped an estimated $250 million to $380 million from the airline. And Air New Zealand’s decision to buy the second half of Ansett, cutting Singapore Airlines out of the deal, contributed to Brierleys being able to do its own deal with Singapore. In April last year, two months after Air New Zealand bought Ansett, Brierleys sold Singapore Airlines all its Air New Zealand “B” shares for $285 million, or $3 a share. 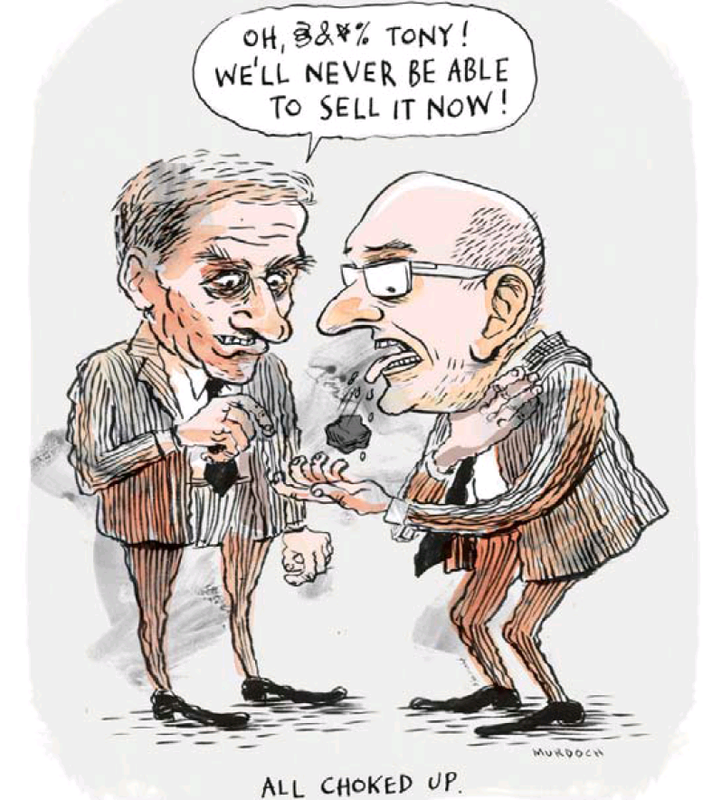 It was arguably the last exit option for Brierleys from these shares, and, apart from a spike at the end of last year, Air New Zealand shares have largely tracked downwards ever since – they were trading around 30 cents as Unlimited went to press. In other words, Air New Zealand had over-extended in unwise investments (as has Solid Energy), and was bled dry by rapacious demands for dividends (as did Faye Richwhite in NZ Rail in the early 1990s). 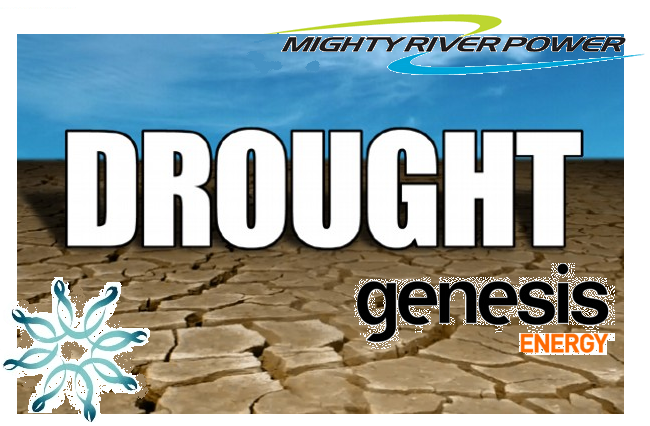 How does this relate to the upcoming partial-sale of Mighty River Power? 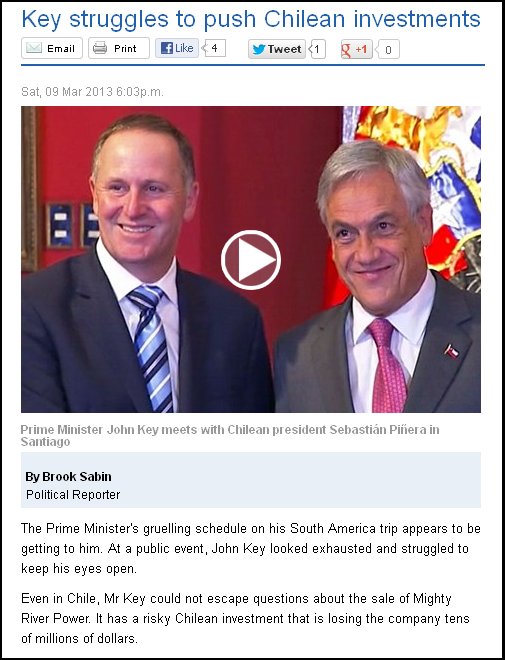 According to the TV3 story above, “Mighty River Power has spent $250 million at the geothermal plant in southern Chile, but has just written off $89 million as the investments struggle“. Dear Leader seems somewhat blase about investors’ risks? Of course he is. It’s not his money. During the period, the Company recognised $91.4 million of impairments principally reflecting its investment in the GeoGlobal Partners I Fund (GGE Fund), and its greenfield explorations for potential developments in Chile and Germany. This impairment followed higher than expected costs at the Tolhuaca project in Chile due to the worst winter in 40 years adversely affecting drilling performance and only one of the two wells having proven production capacity. The value of GGE’s investment at Weiheim in Germany, has been impacted by increased costs due to required changes in the drilling location following the 3D seismic surveys and delays from environmental court challenges which have been resolved post balance date. The GGE Fund had not raised capital from other investors by the end of the 2012 and Mighty River Power made the decision not to invest further capital into the existing structure. Overall, the impairment charge of $88.9 million for the German and Tolhuaca assets and the management company of GGE LLC leaves a residual book value of $91.8 million. As all investors should bear in mind; most of our power generation is generated from hydro stations. Mighty River Power, especially, derives most of its electricity from eight hydro-electric stations on the Waikato River. 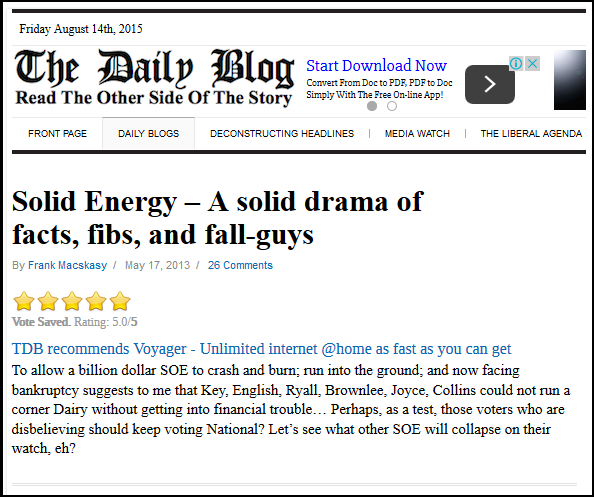 “The same period last year they got really strong inflows, and this is the exact opposite . . . In the second half of this reporting year they’re going to have to buy a lot more electricity to feed their customers, either on the spot market at a lot higher cost or use their [Southdown] gas plant. 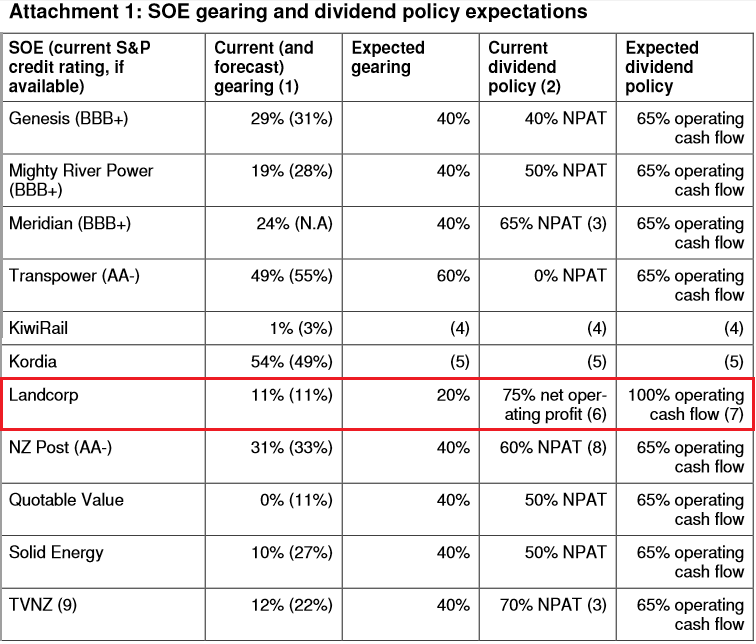 The question that begs to be asked is; where does the risk of investing in SOEs fall – private investors, or the State? The answer I submit to the reader is, that like Air New Zealand, it will be private investors who bear the brunt of all risk. 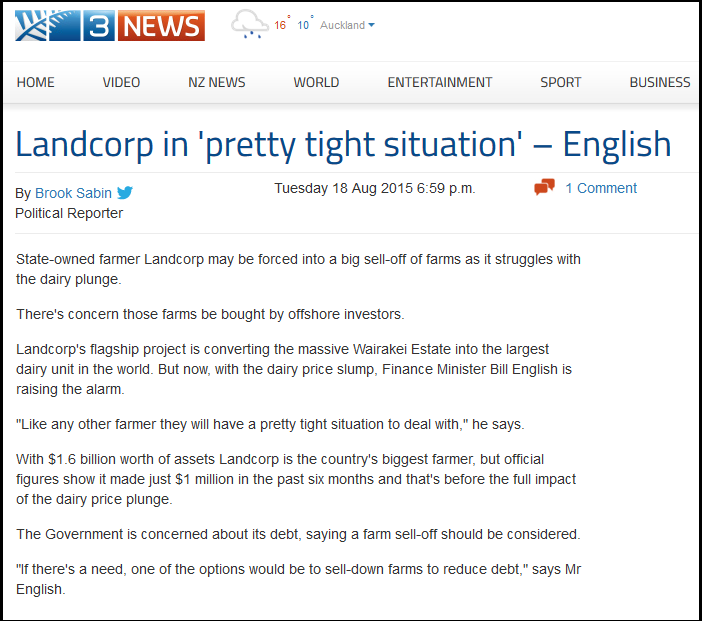 The State will simply pick up the pieces, buying up shares at bargain basement prices, should anything go wrong. Electricity generators like Mighty River Power will simply never be allowed to fail. 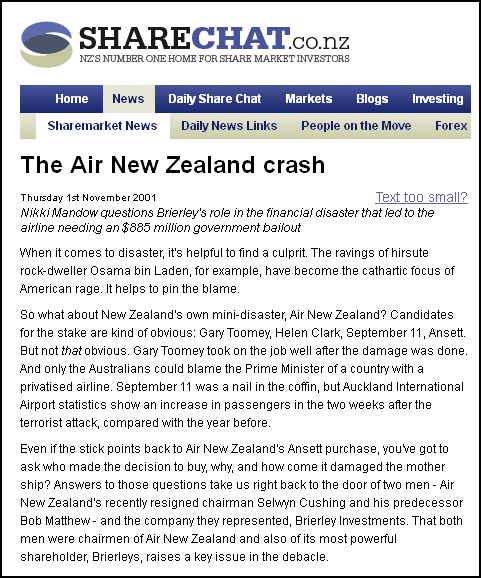 Had the Labour government in 2001 allowed Air New Zealand to collapse, the fall-out to the rest of the reconomy would have been too horrendous to contemplate, and flow-on effects to other businesses (eg; exporters and tourism) and the economy would have been worse than any bail-out. But any bailout will involve a massive loss for investors, as their share-value plummets. Again, Air New Zealand was an example to us all.